A native wildflower which sends up long stems of YELLOW flowers each year, this one is most definitely not a bee favourite. 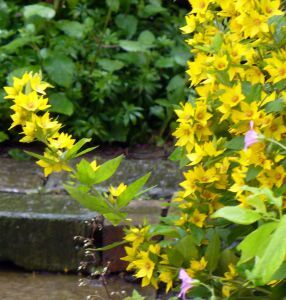 No insect cares to even rest its wings by perching on Yellow Loosestrife. The plant has been used, rather, as an insect deterrent. Its flowers were burnt inside the house to keep out flies, & in Ireland it was twined through the harnesses of oxen pulling the plough, to stop flies from biting them. 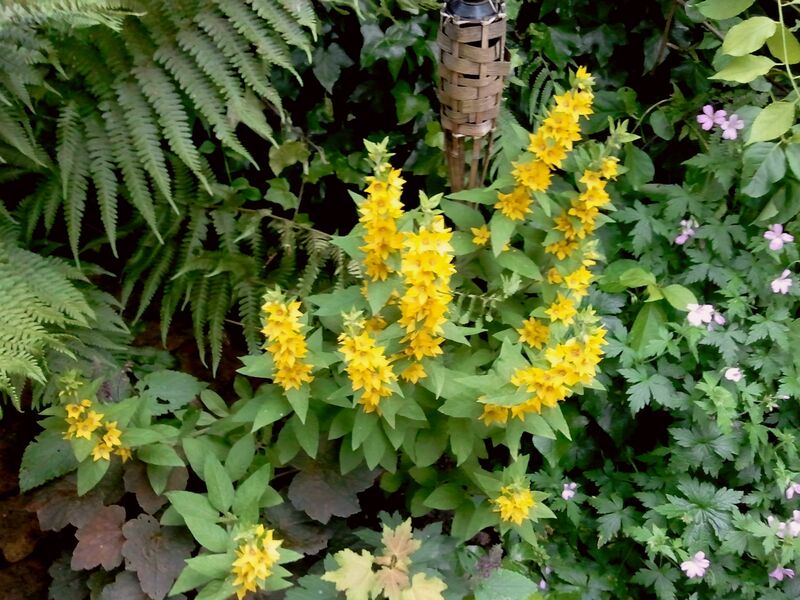 Other names: Almindelig fredlos (Danish), Brealian leana (Irish), Fredlos (Norwegian), Garden Loosestrife, Gewohnlicher Gilbweiderich (German), Herb Willow, Loosestrife, Lisimaquia Amarilla (Spanish), Lysimaque Vulgaire (French), Ranta-alpi (Finnish), Strandlysing (Swedish), Willow Herb, Willow Wort, Yellow Willowherb, Willow-wort, Wood Pimpernel, . 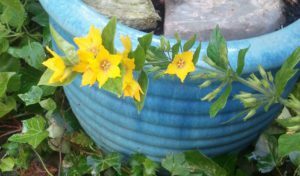 Our Yellow Loosestrife, which lived in a pot outside Tom’s back door, has now been planted in the ground near the back of the garden flat. It is supposed to reach a height of five feet. 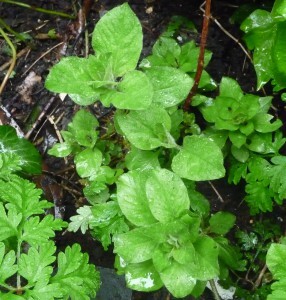 We shall see how it fancies the Highbury clay.